Here at The Liberty we have everything from dazzling dresses to flawless accessories to ensure you are hitting the festive period in style. 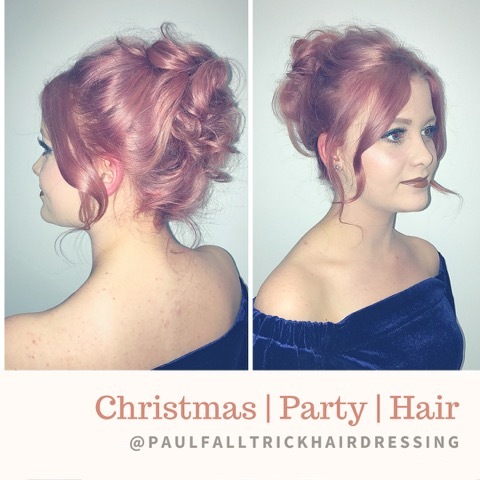 Now, let the experts at Paul Falltrick Hairdressing add the finishing touch to your look – the perfect party hair! Christmas is fast approaching, which means the next festive party is just around the corner! A chance to doll yourself up and let your hair down, (metaphorically speaking of course!) a killer hairstyle is essential to nail that finished look! But what style do you go for? It’s that time of year when your wardrobe needs a touch of glitz and glamour, ready for the busy party period ahead. Whether you’re heading out to a work Christmas party, or just hitting the town with friends, here at The Liberty we have everything from velvet dresses to jazzy jackets to ensure you sparkle throughout the festive season.